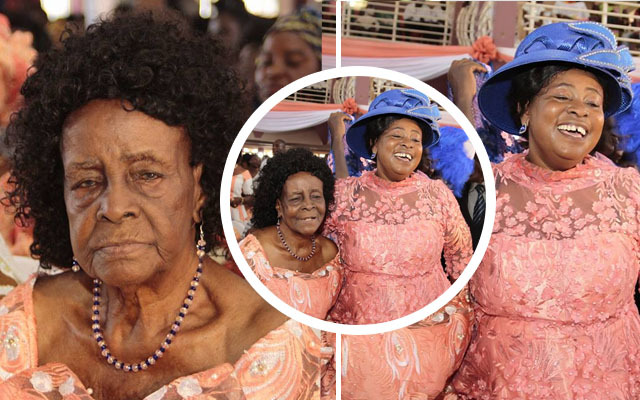 The legendary Gospel musician, Mama Esther has taken to social media to celebrate her mother, Hannah Opoku, who gave birth to her at the age of 50. According to what NsromaMedia,Com gathered, the woman, now 103 years, gave her house to the Church of Pentecost to be used until the church was able to put up a structure. It was not long after that gesture, that the Lord opened her womb to give birth to a child, Mama Esther, after 50 years. Maria del Carmen Bousada de Lara is the oldest verified mother; she was aged 66 years 358 days when she gave birth to twins; she was 130 days older than Adriana Iliescu, who gave birth in 2005 to a baby girl. In both cases the children were conceived through IVF with donor eggs. The oldest verified mother to conceive naturally (listed currently as of 26 January 2017 in the Guinness Records is Dawn Brooke (UK); she conceived a son at the age of 59 years in 1997 while taking oestrogen. To have conceived at age 50 without the medical expertise provided by the West is a miracle and Madam Hannah is of the strong belief that her God gave her the baby.